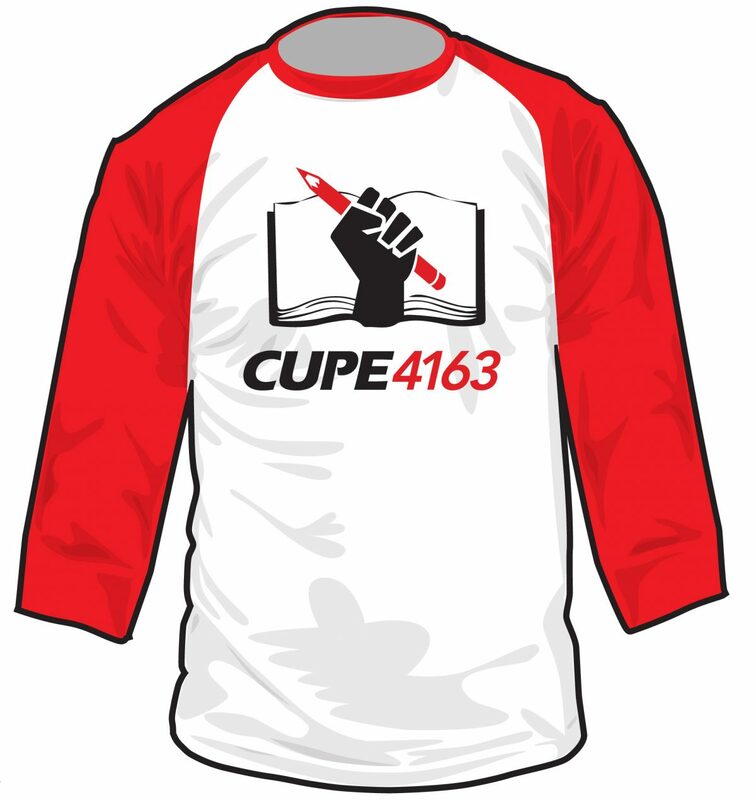 Members of CUPE 4163, get your T-shirts! We have unisex small, medium, large, and extra-large. One shirt per member.